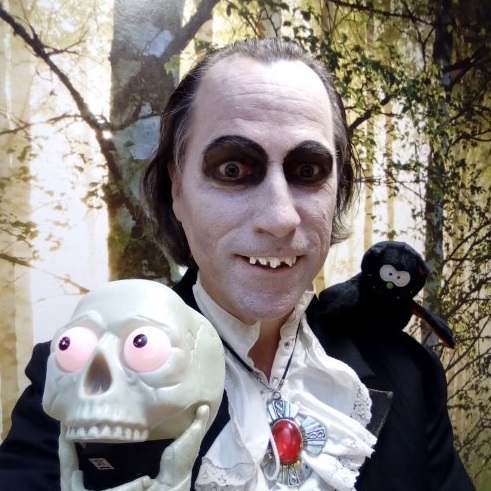 "Hire a Magician for your party or event"
Allin Kempthorne (also known as THORN) is well known as a magician in London and the South East, but is also hired to perform all over the country and indeed all over the world. 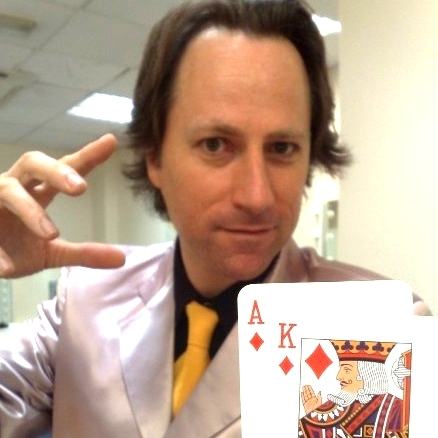 On cruise ships, at weddings, private parties, dinners, corporate events, trade shows and events of all kinds, the amazing and amusing magic and mindreading of Allin is much in demand. 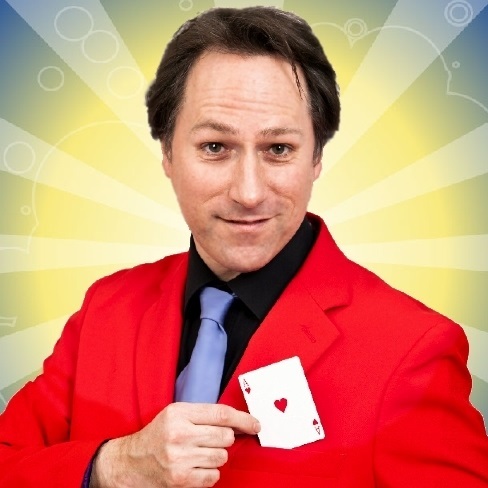 Not just because he is a highly talented Close up Magician, but he's also a very likeable character with a great performers charisma, able to connect with and entertain anyone he meets. Allin has performed for clients as large as Microsoft and Virgin Airlines, in venues as prestigious as Harrods and the Houses of Parliament and in cities as far away as Dubai, Oslo and Atlanta. Yet he is also highly sought after closer to home across England, Scotland and Wales as a magician for weddings, office parties and private events. 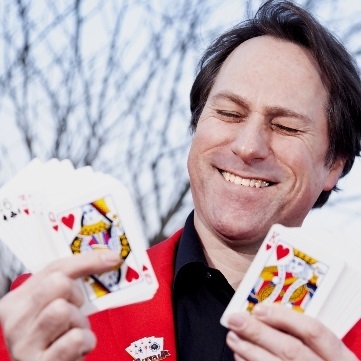 He is a member of The International Magicians Society and British Performers Equity. 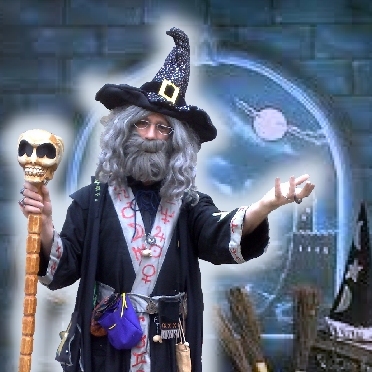 He's experienced and versatile enough to know what type of magic works best for any situation or event and will use his talent, experience and magical know how to create the best magical experience for your guests, whoever they are and whatever the event. You want it to be magical, memorable and fun. So naturally you want to hire an entertaining and amazing magician who really knows how to get your wedding guests buzzing. Close-up magic at the wedding reception or between courses of the meal is an immensly powerful ice breaker and can really set a fun and friendly mood to get everyone talking and enjoying themselves together. 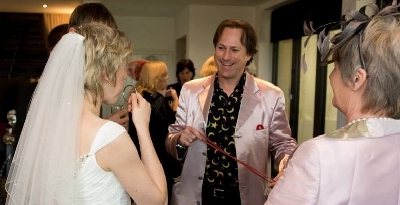 THORN the Magician knows what your wedding day means to you and how important it is to bring together your guests, family and friends, young and old and get every one of them totally involved and enjoying themselves. 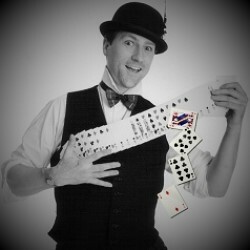 Party magician THORN will mingle with your party guests producing laughter and amazement wherever he wanders. 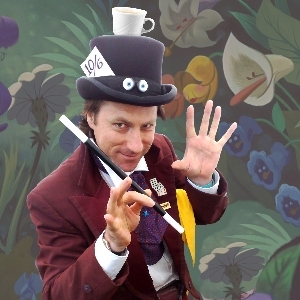 With his friendly and lively personality and his mystifying magic and mind reading, he'll inject a real sense of fun, wonder and excitement into any room. THORN is regularly hired for parties at events in hotels, restaurants, function rooms and private homes all over the country. Whether you're planning a birthday, retirement or anniversary party for a relative or a private dinner party for friends and family, THORN will put the magic into your party. 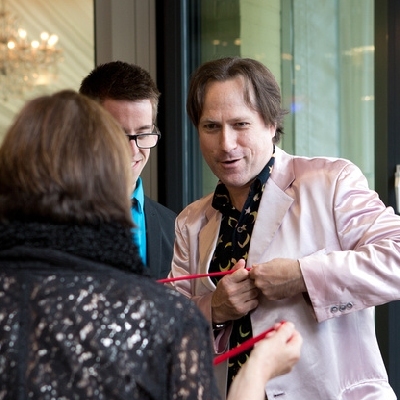 If you're arranging an event for your staff or clients, an office party, a sales conference or a media launch and you want a sense of fun and wonder, hire corporate magician THORN and give your event a real touch of magic. THORN has performed for clients from Microsoft to Vauxhall, from Virgin to Channel 4 and thousands of smaller businesses besides. Make your event special and book the amazing magic of THORN. 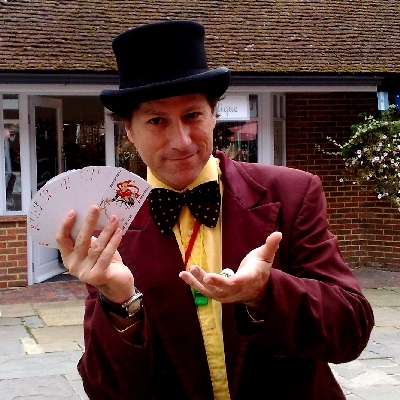 Allin kempthorne is highly adept at performing magic to audiences of all ages, knowing what magic works best for children and adults alike. Children and even 'difficult' teenagers are amazed by his mind boggling magic and love his silly, friendly and energetic style. It's only natural that Allin is constantly booked and booked again for family events across the country, including many bookings at Butlins and on cruise ships, fetes, festivals and fundays, family parties, holiday parks and over 300 shopping centres across the country. 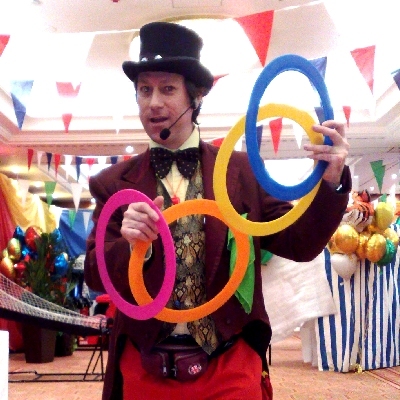 Allin can effortlessly combine his amazing and fun magic with juggling and balloon modelling to give a full family fun day experience. He can also perform a children's magic show of any length from 10 minutes to an hour. For something a little more stylish Allin Kempthorne performs his lively close-up magic in a variety of different styles, characters and costumes. 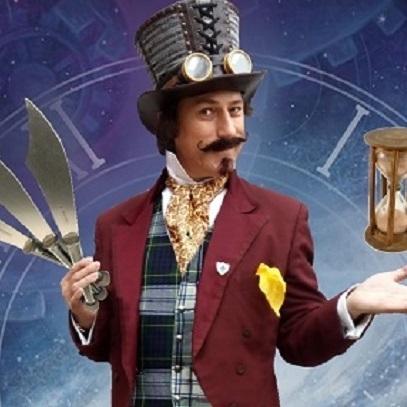 From a mystifying wizard to The Mad Hatter, as a vampire magician or as his extremely popular alter-ego the colourful Victorian showman Professor Strange, as seen on TV's "Britain's Got Talent". Magician Allin Kempthorne is a member of the International Magicians Society and British Performers Equity. "Thanks so much for being a part of The Hard Rock Cafe 33rd Anniversary celebrations. You made the day extra special." "Allin Kempthorne was absolutely brilliant. 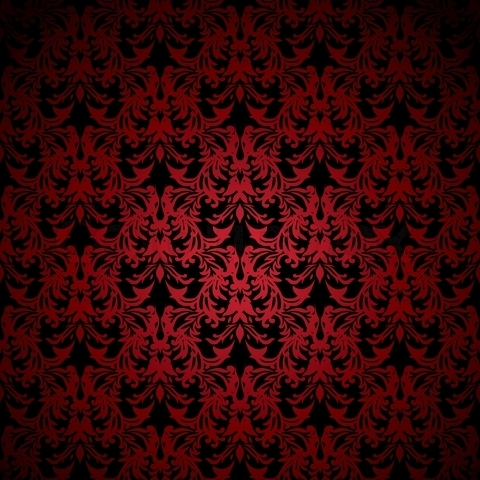 I would recommend him to anyone." working his magic at YOUR event.